CCP Games’ annual EVE Vegas event kicks off in less than a week on October 6th, and once again MassivelyOP will be on the ground to get the latest on the future of EVE Online, EVE: Valkyrie, Sparc, and more. 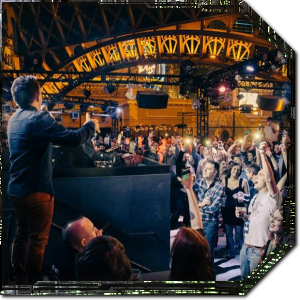 This year’s event is shaping up to be the biggest one yet, having sold out weeks in advance despite moving to a larger venue in The Linq Hotel and Casino. EVE Vegas is the largest community event for players in North America and serves almost as a mini-Fanfest for those who may not be able to make it to Iceland. While the event is mostly a social gathering and an excuse to get drunk, it will also give CCP an opportunity to get critical feedback ahead of EVE Online‘s Lifeblood expansion on October 24th. We’ll hear more about the upcoming Resource Wars dynamic PvE gameplay, get an update on the development roadmap for EVE, and see a variety of player talks and presentations. We’ve also been told to expect some cool surprises this year, and we may get an opportunity to follow up on the recent record-breaking heist and betrayal that happened in-game. In this edition of EVE Evolved, I look at what we can expect from next week’s EVE Vegas 2017. If you have any questions you’d like me to ask players or developers, post them in the comments! The EVE Online keynote talk this year will be delving into the upcoming Lifeblood expansion, which will transform moon mining in low-security space and nullsec and introduce the new Resource Wars dynamic PvE gameplay. We got the first hints of dynamic AI-driven PvE from CCP Affinity at EVE Vegas two years ago, and the feature has been deployed in a limited way with simulated NPC mining ops. Resource Wars extends this feature by allowing players to join AI-driven mining op events as either miners or combat pilots fighting off pirate attacks. We’ll also be getting an update on the Upwell Structure development roadmap and players will be giving feedback at the structures roundtable, which is sure to be very revealing. 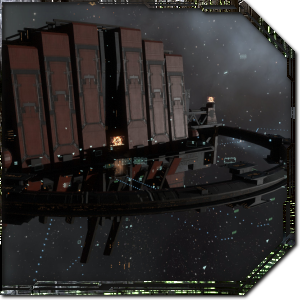 The recent war in the north of EVE and the theft of Circle of Two’s keepstar have highlighted some issues with citadel warfare that will need to be addressed by CCP, so we’ll be following up on these topics and canvassing the views of players at the event. CCP has also reportedly been collecting stats on new player acquisition and retention following the recent record-breaking betrayal, so we may be able to get an update on that. The official schedule promises the usual hands-on time with CCP’s sci-fi dogfighter EVE: Valkyrie, and this year the company’s new VR sports game Sparc will be on the floor too. This will be an interesting time to get an update on Valkyrie, as the game recently removed its VR requirement and can now be played on a standard monitor. Hopefully we’ll get some stats on how this has affected player numbers and also on the adoption of Sparc, both of which will be useful indicators of how well VR is performing as a platform. The last we heard about Valkyrie’s bottom line was when CCP CEO Hilmar Petursson revealed that it cost around $30 million to make and was only beginning to repay that investment at the one year mark. 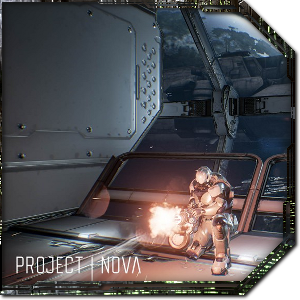 The other game we may hear about will be Project Nova, CCP’s new first person shooter that effectively replaces the now-defunct MMO DUST 514. We got hands-on time with an early prototype of Nova back in 2016, but it hasn’t been shown at events since. All we know is that Nova is still in active development, which was confirmed by CCP it at EVE Fanfest 2017 in April and again in September when the DUST 514 forums were officially shut down. I’d say chances are good that we’ll see at least a project update on Nova at the event, though I’m definitely holding out hope for more hands-on play time. Though CCP Games officially took over EVE Vegas a few years ago, it’s still primarily a community-driven event and will feature talks from a range of players: Mike Azariah will be talking about the elusive endgame of EVE; Matterall will delve into the evolution of warfare in EVE over the past five years; Eveline Vos and Keskora Yaari will be talking about wormhole PvP; Emmaline Fera will discuss translating skills from EVE into real life; and fleet commanders Elise Randolph and Debes Sparre will explain how they design fleet doctrines for alliance level warfare. A number of famous players will be in attendance this year, from streamers and alliance leaders to the player who last month pulled off the largest single heist and political move in EVE Online history. Space pope Max Singularity will also be giving a repeat of his fantastic talk from Fanfest on the real physics of EVE. Many of the presentations are usually streamed live to viewers at home, and videos will be are typically uploaded after the event for those who can’t make it in person. There’s a lot to look forward to at EVE Vegas 2017, with the possible surprise appearance of Project Nova, another look at the upcoming Lifeblood expansion for EVE Online, and talks from a variety of players and devs. If there are any questions you’d like specifically answered, please post them in the comments or email them to brendan@massivelyop.com and we’ll do our best to get an answer. Disclosure: In accordance with Massively OP’s ethics policy, we must disclose that CCP will be paying for our writer’s travel, accommodation, and ticket for this event along with several other members of the gaming press. CCP has neither requested nor been granted any control or influence over our coverage of the event, and the writer is paid exclusively by Massively OP for this work. Let’s be honest though, EVE Vegas is mostly an opportunity for players to get blind drunk and have a laugh with their internet buddies! I imagine it will be sort of sad considering the recent massacre there. The shooting happened the night after this article went live, CCP confirmed that the event will go ahead as planned but I imagine the tone will be different this year. On a positive note, some of the players are already organising to donate blood when they arrive.